1. The bishops leave open for further investigations the question of the supernatural character of the phenomenon of Medjugorje: it is neither accepted nor denied. 2. The bishops underline their pastoral care for the faithful who come to Medjugorje for diverse reasons. 3. They want to promote a healthy devotion to the Blessed Virgin Mary, in accordance with the teaching of the Church. For this purpose, the bishops will issue especially suitable liturgical-pastoral directives. 4. Through their Commissions, they will continue to keep up with and investigate the entire event of Medjugorje. 1. The Zadar Declaration is and remains the only official declaration of the Church on the events of Medjugorje. 2. All subsequent declarations of the Holy See refer to this Declaration. 3. The position of Mgr Ratko Perić, Bishop of Mostar, has to be understood as his personal conviction. 4. The final judgment on the supernaturality of the apparitions and revelations remains open. The events are still happening and have to be examined by the Church. 5. The “especially suitable liturgical-pastoral directives” envisaged by the Declaration of Zadar have still not been given. 6. Nothing is known about the existence of the envisaged Commission, supposed to “continue to keep up with and investigate the entire event in Medjugorje”. 7. 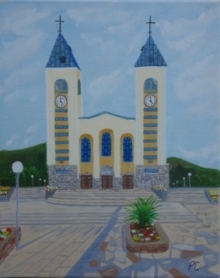 Private pilgrimages to Medjugorje are allowed under condition that they are not considered as the recognition of the events which are still occurring, and which demand to be examined by the Church. The Church does not forbid priests to accompany these pilgrimages.